What is the cherry eye or ‘third eyelid’? Cherry Eye or ‘third eyelid’ is a disorder that occurs when the nictitating membrane or third eyelid is released from its position and protrudes out over part of the eye. The third eyelid is present in a number of species besides cats and dogs and often plays an important role in vision, allowing more oxygen to reach the eye. 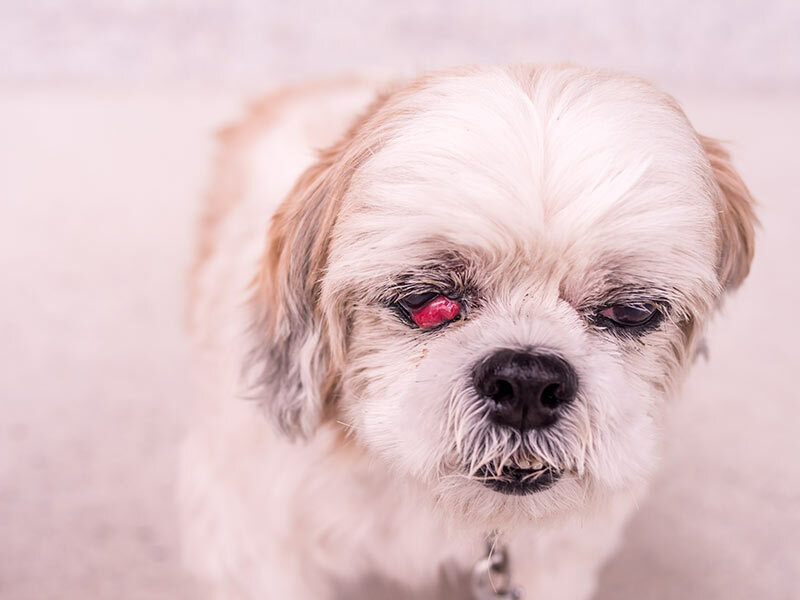 Cherry eye occurs when the third eyelid, detached from its anchorage and covering the eye, becomes inflamed with infection due to external trauma. External elements dry out the sensitive tissue and inflammation paired with severe swelling and irritation is usually the result.  The disorder is quite common in younger dogs, together with a number of dog breeds that seem to be particularly susceptible. Cherry Eye can occur in cats also, however it is much less likely. Amongst cats, the Burmese is the most common breed affected. The condition is not thought to be a genetic disorder. Nictitating membranes are present in both eyes and each can be equally affected. To avoid continued infections and further risk to the animal’s health, a simple surgery is conducted to remove the offending membrane. Aside from the obvious ‘cherry-like’ third eyelid, the condition can be determined by observing a lack of tear control. At first, the dog or cat will produce tears in excessive amounts followed by a long period of inadequate tear production. 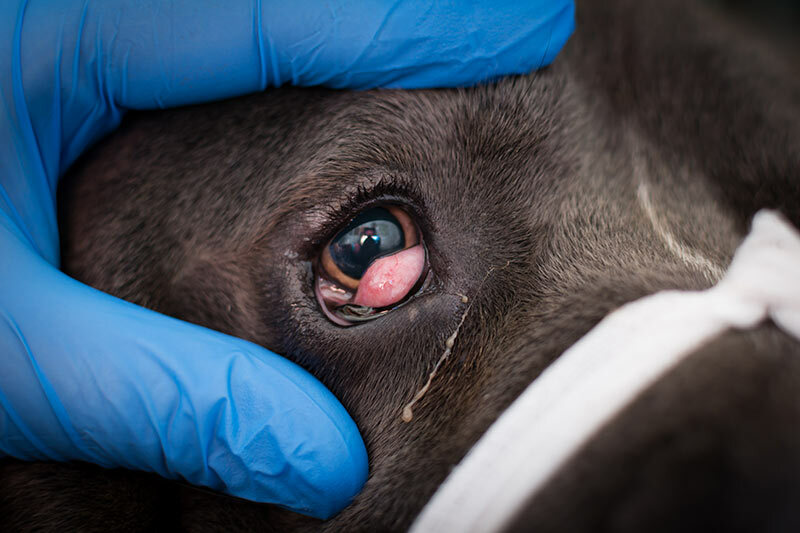 If the condition isn’t corrected within a reasonable amount of time, Cherry Eye can lead to serious ocular conditions involving bacterial infection. Deterioration in eyesight and even total blindness could be the result. Cherry Eye will present a very obvious list of symptoms to owners of affected animals. Your dog or cat will appear perfectly healthy one minute and then the detached third eyelid will appear. It will protrude across approximately one third of your pet’s eye and be a rosy prink or red in colour. Your pet may develop conjunctivitis as a result of the prolapsed membrane. Look for redness in and around the eye and any unnatural discharge. Unusual Tear Production. You’ll most likely notice that your pet is producing an excessive amount of tears, especially in the early stages. After some time with the prolapsed membrane they will begin to produce and inadequate amount of tears. Vision Impairment. It’s common for dogs and cats with Cherry Eye to develop a loss of vision. The affected animals may not judge height or distance correctly, stumble up or bump into obvious and familiar obstructions. Your pet may squint in order to protect the eyes from the elements. Dust and air can cause the third eylid to dry out and become infected causing a great deal of pain. Severe Irritation. Affected animals will often rub or paw at the eyes in an attempt to relieve irritation. This action has the tendency to bring about infection more quickly. Cherry Eye is diagnosed by conducting a physical examination of the affected animal. You veterinarian may also ask about your pet’s history, their environment and over what period of time the prolapse occurred.  If the animal is one of the most affected breeds and under the age of two, other tests may not be necessary for diagnosis. 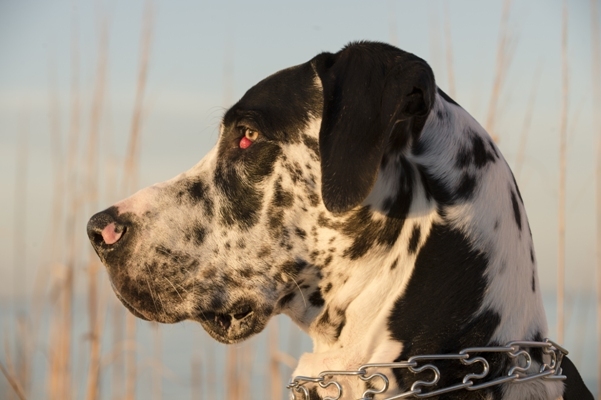 In older dogs, growth in or around the eye could in fact be cancer and not Cherry Eye. In these cases the veterinarian will usually conduct further tests, including a biopsy and blood sample test. Your vet will also conduct an ophthalmic or comprehensive test of the eye’s function to ensure there are no other conditions present. When the condition is determined to be Cherry Eye, the membrane’s removal or re-placement is then planned. Cherry Eye or prolapsed third eyelid was once only treated by removing the offending membrane. Only in recent times have veterinarians began to understand the importance of the nictitating membrane in regards to lubrication. Dogs and cats that have had the membrane removed in the past have often ended up with lubrication issues and severely dry eyes as result. With the removal of the third eyelid, the chance of developing kerato-conjunctivitis is severely increased. Knowledge of the importance of the nictitating membrane has resulted in vets developing a number of repositioning techniques. Repositioning surgery is usually very successful and the chance of future prolapse is significantly reduced. It is still a common practise to surgically remove the prolapsed nictitating membrane, but repositioning solutions are becoming more popular. After surgery to remove the affected membrane, the cat or dog’s eye will suffer from extreme dryness. To avoid irritation in the future and possible infection, eye drops will be required for the rest of the animal’s life. Being a congenital disorder, there is no known way to prevent Cherry Eye from occurring. 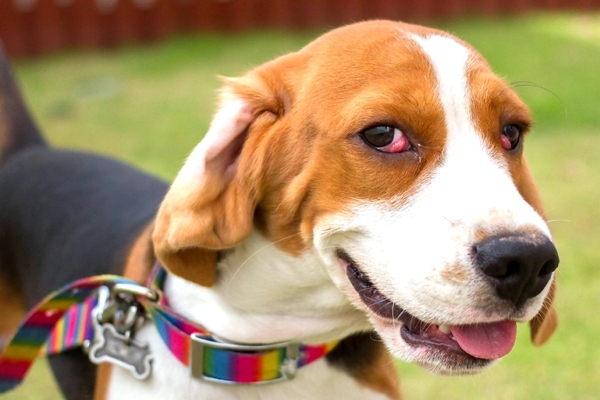 While there are preventative surgeries available for some other conditions such as Gastric Dilation-Volvulus, no such preventative measures exist for Cherry Eye. Young dogs appear to be the most susceptible to developing Cherry Eye. Cats, too, can develop the condition but it is much rarer. The Burmese is the most common sufferer among feline breeds, but even then the condition is uncommon. Dog breeds that are most likely to develop the condition include: Boxers, all varieties of Bulldogs, Cavalier King Charles Spaniels, Cocker Spaniels, all types of Bull Terriers including the Boston Terrier, Saint Bernards, Pugs, Basset Hounds, Lhasa Apsos, all Mastiff types including the Neapolitan Mastiff, Shar-Peis, Shih Tzus, all variety of Poodle and the West Highland White Terrier. While the above listed breeds are most at risk of developing Cherry Eye, the condition can occur in many other breeds. Some owners of Chery Eye affected pets have developed their own methods for repositioning the prolapsed membrane. The procedure involves gently massaging the socket around the area of prolapse until the membrane returns to its place. Vets, after acknowledging the importance of the third eyelid, will often offer a procedure to re-place the membrane in its rightful position. After this procedure, it’s uncommon for the membrane to prolapse again. The other eye is always susceptible, however. While Cherry Eye is initially more a discomfort rather than a serious threat to health, the longer the condition is left untreated, the higher the chance of serious infection.